Happy Monday! 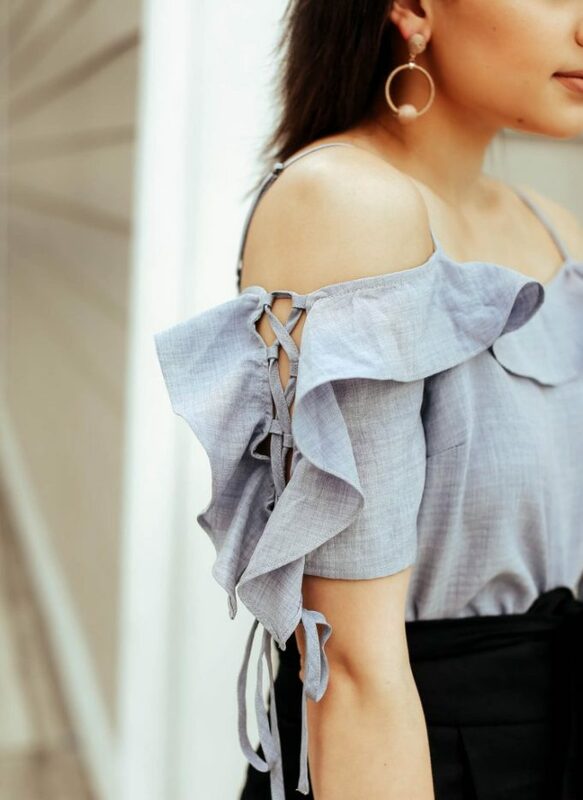 I’ve been wearing this off the shoulder top a lot in recent videos and I definitely love the ruffle sleeve detailing! 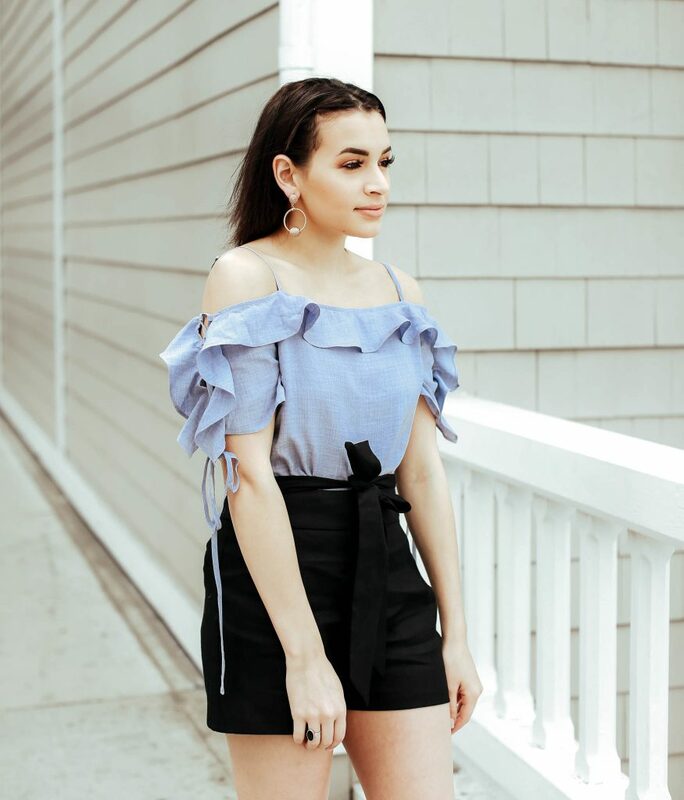 This top is slightly cropped so I like pairing it with anything high waisted and these black shorts are my go-to for spring! 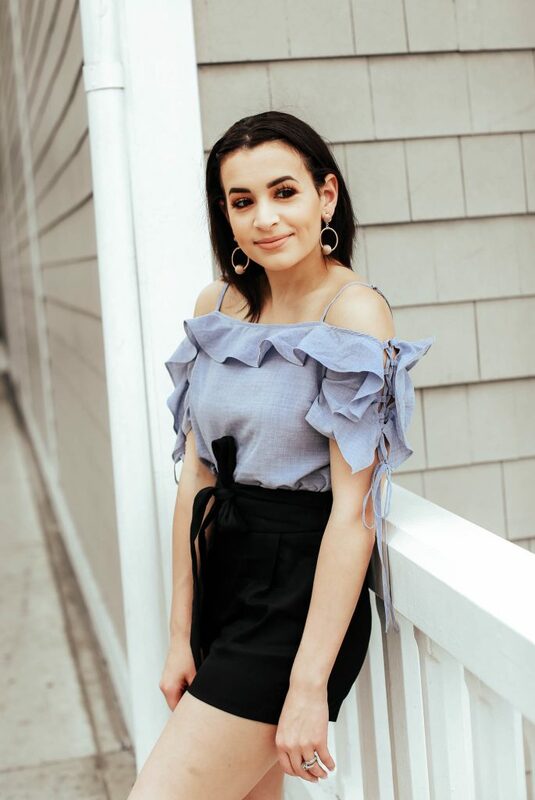 Also, while it’s no surprise that the majority of my wardrobe staples are from Express, I’ve actually been shopping there a lot recently for statement earrings. 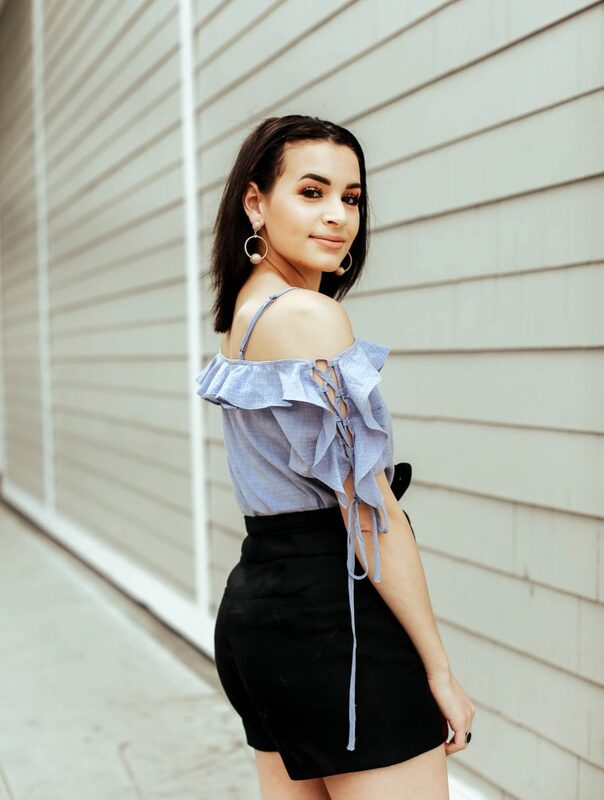 I’ve been loving these gold drop earrings and all of the hoops I’ve been wearing lately are from Express too!